When someone's acting a certain way, you have to filter it through "Is it because I'm Black?" I don't think (the students at Santa Cruz High) experience a lot of overt racism. But I think they do walk around feeling like they're different from other people. I think with everybody kind of having more of a voice nowadays, and the young people being so involved with social media, I think they feel more empowered and a little more entitled to respect than past generations have. Because everything is being put out there. And I also think the response from the majority is more 'walking on eggshells.' You can see people sometimes thinking in their head about not saying the wrong thing. 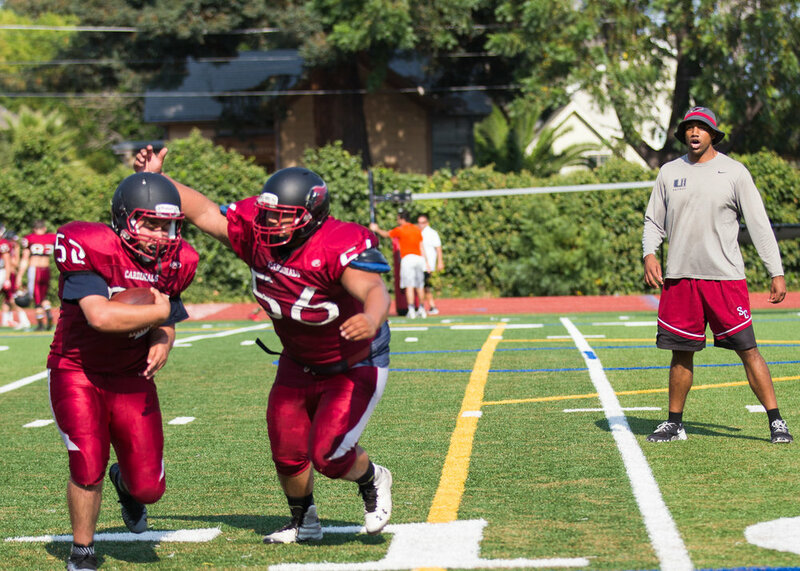 At Santa Cruz High, Quinn played football, basketball, baseball and track & field. 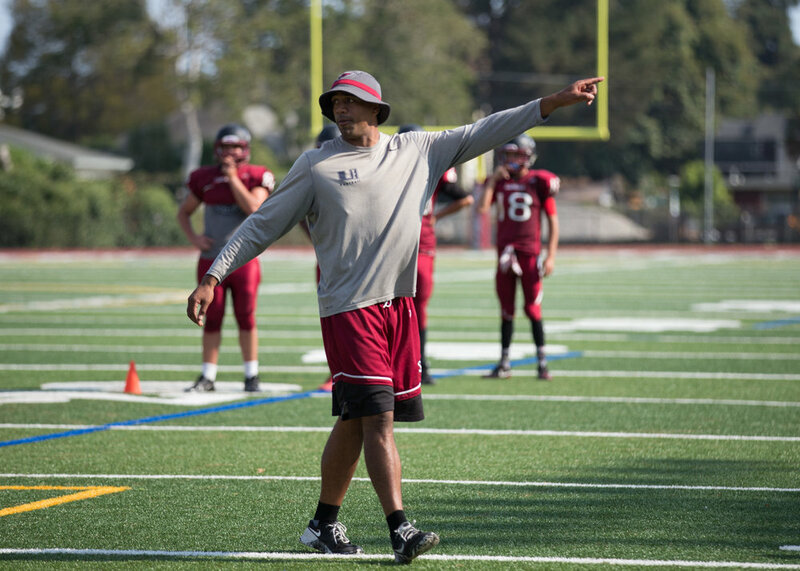 Now as a Santa Cruz High School Assistant Varsity Football Coach, Quinn puts the players through their drills. What would you like viewers of this exhibit to come away thinking about? Because there's not a lot of Black people in Santa Cruz, a lot of the people who are White growing up in Santa Cruz, the only experience they have of Black people is what they see on TV, which is not always necessarily a positive image. So having things like this (project) or having people in the community who can be a positive image of a Black person, embedded in the community, can open people's minds up to the possibilities outside of what they see represented on TV. Quinn is a certified personal trainer at Rocky’s Fitness Center in Capitola, encouraging people of all ages to reach their fitness goals. 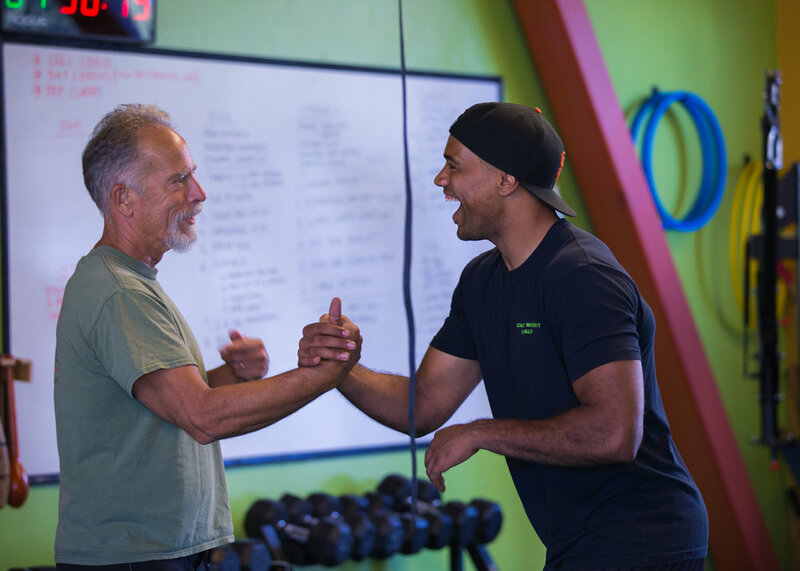 Quinn has great rapport with his clients..
Quinn makes fitness seem like all fun and games in his class for youth at Rocky's Fitness Center in Capitola.